If you're sick NY transit's limitations and the expense of renting wheels in the city, I'm excited to share that it's not necessarily "expensive" to lease a car. Leasetrader.com says inventory of its under-$199 per month vehicle category is at its highest point in history, meaning there's a plethora of cars available making your hunt easy. You'll find mostly Toyota, Honda, Nissan, Mazda and Volkswagen cars, along with the occasionally Mini Cooper (my fav!) sneaking into their available lease offerings. After a reasonable downpayment (a few thousand dollars), you could have wheels for LESS than what it costs to take out a Zipcar twice a month, as 6 hours in a hourly rental can run you $150+ (not accounting for insurance, which depends on how wonderful/horrible of a driving record you have). Take a look for yourself if you don't believe it! 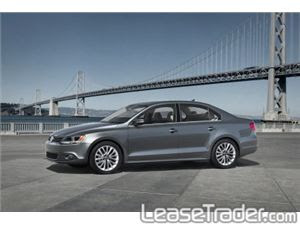 Volkswagen Jetta S for $125 per month, Staten Island. Nissan Altima 2.5 for $154 per month, Staten Island. Nissan Maxima 3.5 for $199, in Staten Island. Volkswagen Tiguan S for $199, in Brooklyn.